U.S. Department of Commerce Secretary Wilbur Ross announced the initiation of new antidumping (AD) and countervailing duty (CVD) investigations to determine whether imports of 100- to 150-seat civil aircraft from Canada are being unfairly dumped in the United States and whether Canadian producers are receiving alleged unfair subsidies. If the Commerce Department determines that Canadian civil aircraft are being dumped into the U.S. market, and/or receiving unfair government subsidies — and the U.S. International Trade Commission determines that dumped and/or unfairly subsidized Canadian imports of civil aircraft into the United States are causing harm to the U.S. industry — then the Commerce Department will impose duties on those imports in the amount of the dumping and/or unfair subsidization found to exist. Although Canadian civil aircraft subject to these investigations have not yet been imported into the United States, an April 2016 press release announcing the sale of Canadian civil aircraft to a U.S. airline valued the order to be in excess of $5 billion. The estimated dumping margin alleged by the petitioner is 79.82 percent and the unfair subsidies are estimated to be 79.41. Commerce has initiated an investigation into 14 alleged subsidy programs. 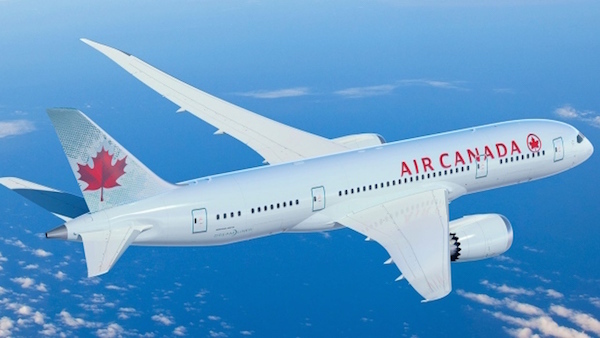 During the Commerce Department investigations into whether Canadian civil aircraft are being dumped and subsidized, the U.S. International Trade Commission will conduct its own investigations into whether the U.S. industry and its workforce are being harmed by such imports. The ITC will make its preliminary determinations on or before June 12. If the ITC preliminarily determines that there is threat of injury then the Commerce Department investigations will continue, with a preliminary countervailing duty determination in July 2017, followed by a preliminary antidumping determination in October 2017, unless these deadlines are extended. If the Commerce Department preliminarily determines that dumping or subsidization is occurring, then it will instruct U.S. Customs and Border Protection to start collecting cash deposits from all U.S. companies importing the subject civil aircraft from Canada. Final determinations by the Commerce Department in these cases are scheduled for October 2017 for the countervailing duty investigation, and December 2017 for the antidumping duty investigation, but those dates may be extended. If either the Commerce Department does not find that products are being dumped or unfairly subsidized, or the U.S. International Trade Commission does not find in its final determination there is harm to the U.S. industry, then the investigations will be terminated and no duties will be applied. Categories: Uncategorised Tags: Airline News, Canada, News, U.S.